Question: Dear Answer Man, Abigail here. I hate to bother you, but I need to talk to someone. I’m nearly out of my mind these last few days what with Rusty bugging me about my Brussels sprouts. I’ve been planning the menu for Thanksgiving, and he’s raised a fuss about my plans for salad of Brussels sprouts. I’ve always thought that Brussels sprouts were traditional on a Thanksgiving menu, but he tells me that they nearly killed a man in Scotland last year at Christmas. I’ve already promised all the relatives that we’re having a salad of Brussels sprouts. My family loves them. As for his, most of them never got beyond cheeseburgers, fries, tacos, chips, and something called “Manwich” which sounds like a testosterone enhancer. Answer Man: Dear Abigail, I’m surprised that Rusty would know about that story. 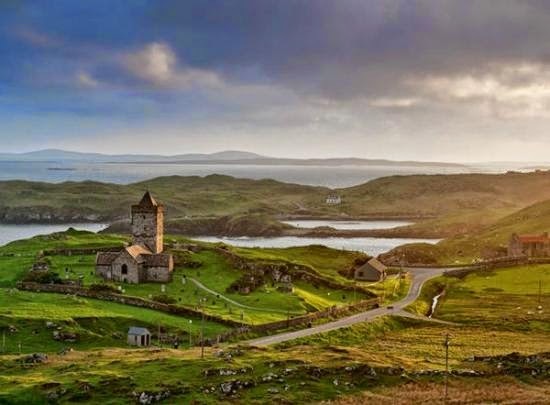 It was in the Scottish Western Isles edition of the BBC, and from what you said; I would guess that Rusty gets his news from Fox News, not the BBC, especially the Western Isles edition, like the Isles of Lewis and Harris in the Outer Hebrides. 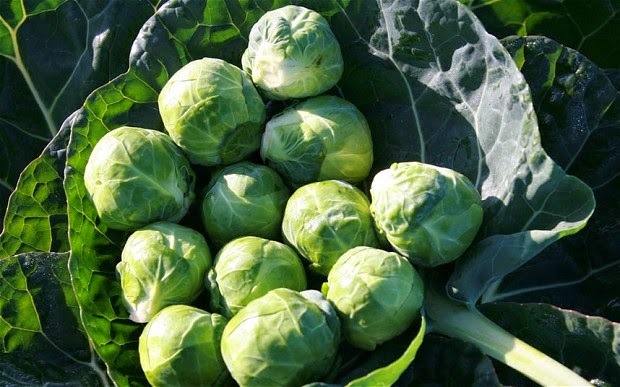 It’s true that a duffer almost died from gorging on Brussels sprouts. He had to be taken to the hospital, or he would have died. Too much of a good thing. 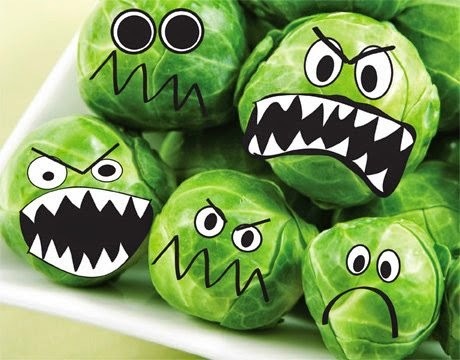 Indeed, Jill Young, chief executive of the Golden Jubilee Hospital, said: "Whilst we think this is possibly the first-ever festive admission to hospital caused by the consumption of Brussels sprouts, we were delighted that we were able to stabilise his levels." 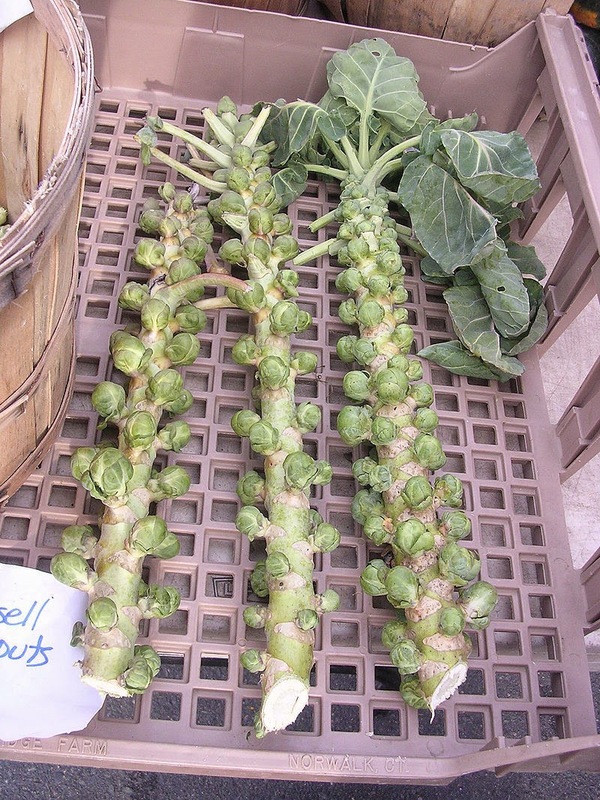 Brussels sprouts are filled with vitamin K which thickens blood if eaten in large quantities. Sometime before he ate the sprouts, he’d had a heart attack and surgery. After stuffing himself with the sprouts, he needed his blood thinned so that it wouldn’t clot and kill him. Question: Thanks, Answer Man. I’m sure going to enjoy setting Rusty straight on that, but he doesn’t just stop there. He also said that they stink, something like urine or something foul. I kinda know what he means. Answer: That’s easy. Either steam or roast them. Boiling them until they’re soft releases a sulfurous odor that everyone finds offensive. Or just cook them the day before. Let them cool. The next day, they’ll be ready for your salad with no odor. You can either use them cold or heat them up with a little butter and bread crumbs. Answer: It’s hard to imagine Rusty levitating, especially since he’s porked up. As for the sprouts, I’m sorry there’s not much to be done about that except open the windows and bring in the fan which may be a little difficult on a cold November’s day. Even Benjamin Franklin in 1781 wrote an essay on the problem but offered no solution. He even had a recipe using a pound of sprouts. He called it, “Rabbit Stew Adagio” which I assume means “slow cooking.” The problem is a sugar named riffinose in the sprouts. The bacteria in the stomach can’t digest it. Actually, it serves as a kind of defense mechanism for the plants because animals find it offensive. It just stays there, rotting, like a swamp, gassing up, until it’s passed. Beano, a commercial product that contains an enzyme (α CAL) that will digest riffinose, is about the only solution of which I know. You might set out a few tablets on the table for the guests with a little smiley card. They’d probably appreciate it. Besides all this, sprouts are really good for you. 1-cup serving of cooked sprouts has only 56 calories and less than 1 gram of fat, but contains plenty of vitamins A, C, and K, as well as foliate and dietary fiber. One final thing. Thank is a transitive verb and needs a direct object so don’t forget to thank God before you eat. Atheists, secularists, and other spiritual flatliners may not know it, but ingratitude is bad form.